It's probably fair to say that cargo vans probably don’t get as much coverage in the media as perhaps they deserve as they're commercial vehicles. However, they're the very backbone of business and there's something that's pretty cool about them most of us instantly realize when we get the chance to get behind the wheel of one. There are millions of them out there on the road, and that means they're extremely important vehicles for manufacturers that build them. Two of the big-hitters in the market are the Ford Transit and the Chevrolet Express, but the Chevy has been around for some considerable time while the Transit is a relative newcomer. So, let's compare the 2017 Ford Transit vs. 2017 Chevrolet Express to see which comes out on top. You might think what a cargo van looks like wouldn't have any bearing whatsoever on the buying decision of a commercial customer, but that's not necessarily the case. Even if only ten percent of buyers are concerned to some degree with how a cargo van looks and the image it presents, that's still an awful lot of potential sales and it's probably a lot more than that. It's probably not fair to compare the Transit with the Express as the Transit is a pretty new vehicle and the Chevy has been with us pretty much unchanged for more than two decades, but life's not fair. So, even the quickest of glances at these two reveals the Ford to be a modern, almost futuristic design while the Chevy looks every year of its two decades or more. If you are going to consider styling in your buying decision there really is no competition and the Ford is a huge winner in this department. There isn't as much to a cargo van as there is to a car, SUV, truck or crossover, but not one of the attributes of a passenger vehicle is as vital to all users as capability is to a cargo van buyer. It's another big win here for the Transit then, and its advantages start with there being more versions of the Transit to choose between. The 2017 Chevrolet Express comes in two formats, which are the G2500 and G3500 that are both available in either regular or long-wheelbase versions. Although the G2500 and G3500 both offer different cargo capacities as a result of the different wheelbases, their widths and heights are identical and that limits the amount of sizes and shapes of objects they can carry. When it comes to the 2017 Ford Transit though, there are 150 and 250 SRW versions of the regular-wheelbase, 150, 250 and 350 SRW versions of the long-wheelbase and 250, 350 and 350HD versions of the EL long-wheelbase. But that's not all; there are also low-roof (LW) and medium-roof (MR) 150 and 250 SRWs and the 250 and 350 SRW and the 350HD SRW also come in a high-roof (HR) variant too. The bottom line here comes down to the fact that regardless of which version of the Transit you look at, every version of the Ford offers more cargo volume than its Chevy equivalent. In its regular-wheelbase form, every Transit other than LR models offer buyers more cargo volume than even the long-wheelbase Express can manage. Fuel economy might not be as big a deal to retail buyers as it was a few years ago, but it's close to being as big a deciding factor for commercial users as capability. It probably won't come as much of a surprise that the ageing Chevy adopts a take-it or leave-it approach with just the one engine across all models, while there are three different powerplants for the Transit. The Chevrolet Express engine is a pretty powerful 6.0-liter V-8 that develops 342 horsepower and 373 lb.-ft. of torque, which comes mated to a six-speed automatic transmission. The base engine in the Transit isn’t as powerful as it’s a 3.7-liter V-6 that puts out 275 horsepower and 260 lb.-ft., but there are two others if that's not enough for your needs and both of them develop considerably more of that all-important torque. And even though the base engine in the Transit isn't as powerful as the Chevy's only powerplant, it's considerably more fuel efficient. The Transit V-6 is rated at 14 mpg in the city and 18 mpg on the highway, compared to the 10 mpg in the city and 15 mpg on the highway of the Chevrolet Express. 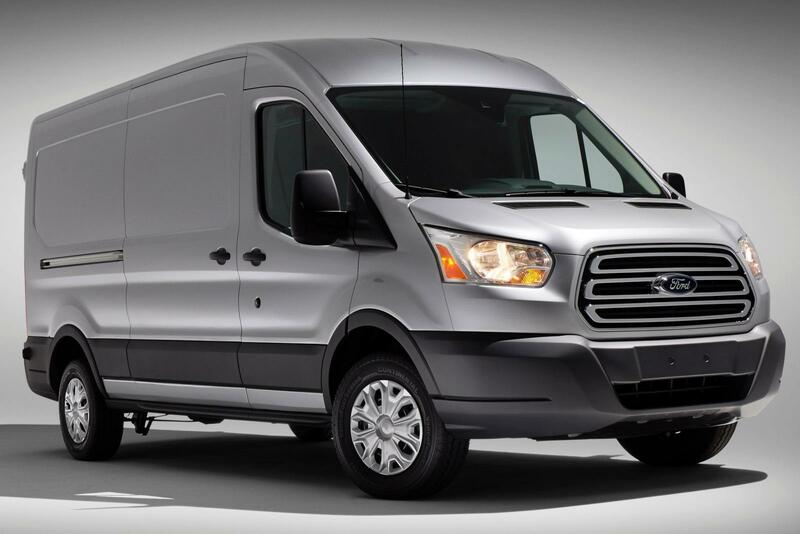 If we're brutally honest here, you only have to look at these two to come to a quick conclusion that the 2017 Ford Transit is going to be a much better choice than the 2017 Chevrolet Express cargo van, and a closer examination of the facts and figures certainly confirms those initial inclinations. The Chevy has been a good workhorse over the years, but every horse eventually gets a little too long in the tooth and gets replaced by a younger rival, and that's definitely what's happened here. If you're trying to decide which to buy between these two, save yourself some time and just concentrate on which version of the Transit suits your needs the best.